Waiheke Island is the most populous of the islands in the Hauraki Gulf, with a population of eight thousand that increases to thirteen thousand in summer. It is thirty-five minutes by ferry from the centre of Auckland, New Zealand's largest city. I did not know Waiheke as it was in 1989, when the island was officially amalgamated into the City of Auckland. My father and stepmother sold a plot in Tutakaka, further north, and bought a house on Waiheke Island around ten years ago. It was not, at that point, known solely as home to environmental activists and eccentrics, as it was in the 1970s, though these figures remained. 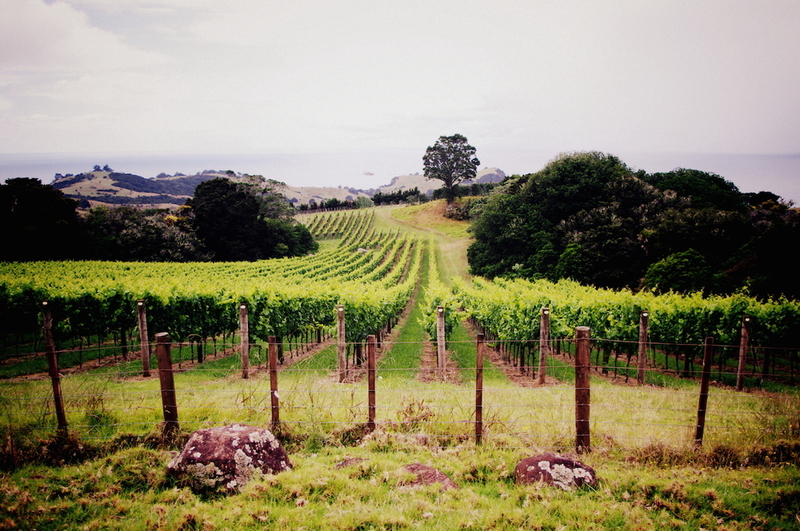 After the 2003 America's Cup, Waiheke attracted visitors and migrants from around the world, drawn by wine and landscapes, and commanding high property prices in the process. Waiheke Island is still changing, and I've noticed this as I've visited my family over the past decade. There are three ferry companies serving the island now, and a gelato shop has opened up at Oneroa, with flavours like Salted Coconut and Lemon Meringue. There is competition for the best coffee, and the buses are crowded. 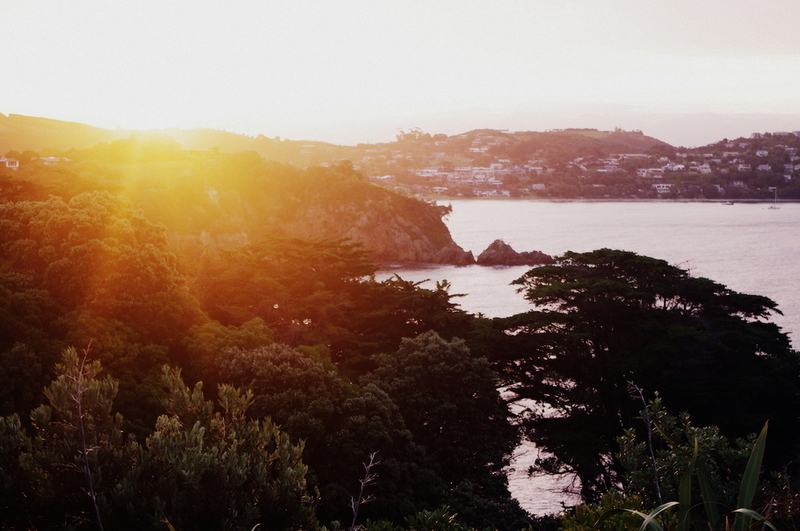 The New Zealand Herald recently ran an article proclaiming Waiheke “suburbia,” and many commute into Auckland daily. There has, of course, been resistance to these changes. The local paper, Waiheke Gulf News, is filled with letters of complaint about the helicopters that drop wedding parties at vineyards, and it's not uncommon to overhear arguments about the introduction of a marine reserve around the north-eastern beaches. Concerts have raised money to fight the introduction of a marina in Matiatia Bay. I've tried, in these photographs, to capture the quieter side of life on Waiheke Island, and the sense of isolation that is slowly disappearing. Auckland is visible and easily accessible from the island, but it is also easily escaped. The road east from Onetangi Beach, where houses give way to farmland, remains unsealed. Waiheke Island does not yet feel like suburbia, but it's difficult to know what it will look like in the future. 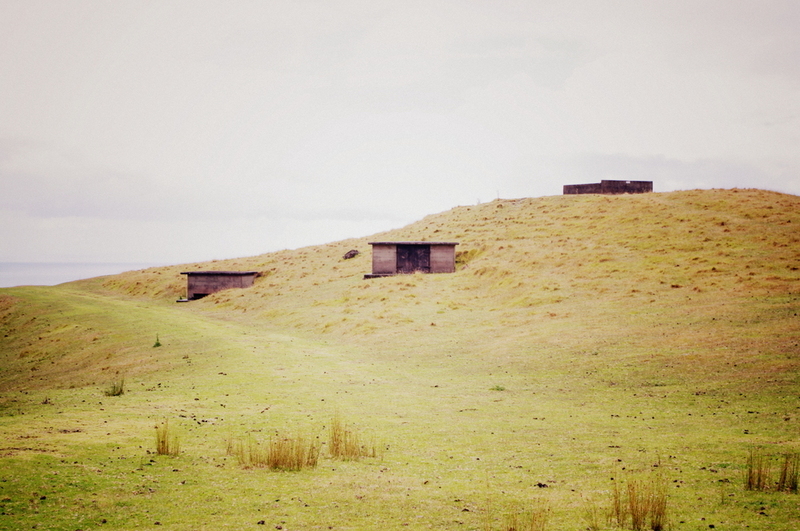 These photographs are attempts at documenting its present. Anna Blair is a writer and art historian from New Zealand, now living in Paris, France. More of her work can be found at www.annakateblair.com.